This past week, I attended several networking meetings. 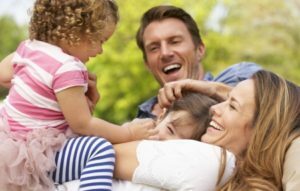 When I told people that I was an estate planning attorney for young families in Cary, I was absolutely blown away at how many people really didn’t understand what estate planning is, or the benefits and peace-of-mind that a carefully thought out estate plan can bring to you and your family. Having a complete and thorough estate plan in place is an amazing gift to your family and children. Unfortunately, most people think that estate planning is simply drafting up some legal documents, such as a will or a trust, throwing those documents in a drawer or file cabinet, and checking “estate planning” off the list of things that they have to do. Nevermind that those documents you just finished up are stale from the moment you signed them. In that sense, estate planning is kind of like buying a new car. While a car loses value from the moment you drive it off the lot, your estate planning documents will require changes and updates as your life changes. And after a few years, just as you are ready to turn in your car for a new one, you may need to change and update your estate plan. Well, for starters, estate planning is a whole lot more than buying a car. The decisions you will make are much more important than color and whether you should have power windows or not. Depending on your personal circumstances, estate planning can mean different things to different people. But the bottom line is this… everyone has an estate. And everyone is going to die someday. So… you need to have an estate plan. Who Should Do Estate Planning in North Carolina? What If You Fail to Plan? What are the Elements of an Effective NC Estate Plan? Your estate is composed of everything you own, including your car, home, bank accounts, furniture and all of your personal property (i.e. jewelry, tools, camping gear, etc.). Your estate will also include your retirement accounts and life insurance. Estate planning is the process of making a plan that distributes your estate to the people and organizations that you want to receive those assets after you die. In other words, putting together a set of written instructions that dictates who will receive the assets in your estate after you die, what they will receive, and when they will receive them. This is what most people envision when they think of estate planning. They envision sitting down with a lawyer, telling the lawyer who will receive all of their “stuff”, and the lawyer drafts up a will that they will come back and sign. It’s no wonder that so many people turn to online services to get this done. Decided how to pass along your intellectual property, including your values, stories, ethics, etc. This is frequently referred to as “legacy planning”. Be aware that many lawyers ignore this very important part of the estate planning process. Set down written instructions for what should happen if you become disabled or incapacitated. Name temporary and permanent guardians for your children in the event of your death or incapacity. Protect your children’s inheritance from their own creditors or divorce. Put in place the proper insurance to provide for your family if you die, become temporarily disabled, or have an extended illness or injury. Map out a strategy to minimize taxes, court costs, and legal fees when the time comes to implement your plan. And this is the tip of the iceberg. It’s no wonder you need an estate planning lawyer to help you navigate it all and make these decisions! One of the biggest mistakes many people make is thinking that estate planning is only for old people or people with millions of dollars. This is simply not true. As I mentioned at the beginning of this article, here at The Hart Law Firm we focus mainly on helping young families with minor children. We think it is vitally important that young families put a plan in place to protect their children in the event something were to happen to one or both of their parents. But this is just one subgroup of all the other people who will need estate planning. Honestly? Everyone needs an estate plan. If you are reading this, YOU need an estate plan. People who have $100,000 or more of investable assets outside of their personal residence. It’s unfortunate but true. There is still a large segment of the population that desperately needs an estate plan, but refuses to spend the time or money to go and see a lawyer. To those of you in this situation, I urge you to pick up the phone and call an estate planning lawyer immediately. Here’s a quick rundown on what will happen to you and your heirs if you should die or become incapacitated and you haven’t prepared an estate plan. Every state has a default plan for people who fail to do their own estate planning. They are called “intestate laws”. 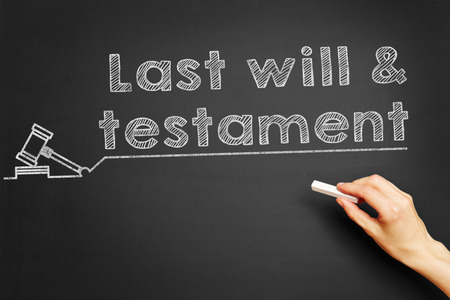 If someone dies without a will, they are said to have died intestate. In these situations, someone would step forward and file a probate case for the estate of the deceased (also called the “decedent”). They would let the court know that the decedent died without a will. Accordingly, the court would appoint a personal representative of the estate, who would likely be required to post a bond. The personal representative would then begin the process of trying to find out what the decedent’s assets were, what needs to be accounted for and what should be distributed according to the intestate laws of the decedent’s state. In North Carolina, how your property is distributed depends on whether you were married, for how long you were married, and how many heirs (i.e. children) you have. If you have a spouse but no children, your spouse gets everything. If you have children, but no spouse, then your children get everything. And if you leave behind a spouse AND children, then they will split up the probate property. The more children you have, the smaller the share for your surviving spouse. Also, keep in mind that if you leave money to minor children, either through intestate laws or by naming them as beneficiaries on your retirement accounts or life insurance, then the court will oversee those assets until you children turn 18. The court will appoint a guardian to manage those funds on your children’s behalf. In addition, if you leave behind minor children without an estate plan that names emergency guardians, your kids will be taken into protective custody until a suitable guardian has been named. Because you didn’t plan, you would not have any input into who this person would be. 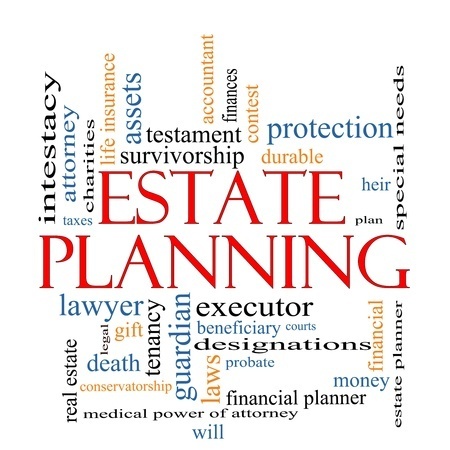 Many people think that estate planning is only for planning what will happen if you die. The fact is, it can be much harder for your family if you become incapacitated without a plan in place. For example, say that you own a joint house and joint bank accounts with your spouse. If you become incapacitated with no estate planning, you cannot sign off on any transactions that involve your house of your bank accounts. That means your spouse can’t cash that joint tax refund you just received, and you can’t sell or take out a second mortgage on the house, even if you needed those funds to care for your disabled spouse. This is because you can only transfer titled property with a signature or a court order. If you become incapacitated, your spouse can’t get your signature, so he or she is forced to file an expensive, public, and time-consuming guardianship proceeding to get the court’s permission to manage those assets. So as mentioned above, the clear benefits of proper estate planning are that you will control your estate after you die or become incapacitated. You can name the guardians for your children. You can provide your spouse with a mechanism to sell or encumber the marital home if he/she needs the money to pay for your care. So we have talked at length about what an estate plan is, who should prepare an estate plan, and what happens if you die or become incapacitated without an estate plan in place. Now let’s discuss what a typical estate plan looks like. When most people think of an estate plan, they think, “I need a will”. A will is just one component of an effective estate plan. A will is a document that provides a set of written instructions to the Probate Court for how you want your property divided. If you have a will in place, you will not avoid the probate process. Any assets that are titled in your sole name must go through the probate process before they can be passed on to your heirs. The will is just the written instructions that tell the probate judge how to divide up your assets. Some states are probate friendly, while others are not. North Carolina is middle of the road. The probate process in North Carolina can be expensive, time-consuming, and is open to the public. However, if you forget to name a beneficiary, or if you name a minor as a beneficiary (as many people do for life insurance and retirement assets), then some of these assets may still end up in probate. Furthermore, if you name a minor as beneficiary, then the court is likely to insist on a guardianship to manage those funds until the minor child turns 18. A revocable living trust is a tremendous estate planning tool for individuals and families that want to avoid probate, while at the same time maintaining control of their assets and keeping their affairs private. A trust is basically a contract between a trustee and a grantor to manage property for a beneficiary. While you are alive, you play all three roles. If something happens to you (either you die or become incapacitated), the trust will have a set of instructions for who should step in to manage your estate as a “successor trustee”. One of the main benefits of a trust-based estate plan is that your assets will remain in your trust long after you die or become disabled. Your assets will either stay in your trust or be distributed into one or more new trusts for the benefit of your heirs. In addition, if you have a spouse, they can step in and take control of your assets without having to request permission from the court. Not only will this save them time, but it can also save your family thousands of dollars. I put together another detailed article on North Carolina estate planning. You may want to review it here. It contains a list of 5 additional documents that every estate plan needs. Whether or not you consider estate planning expensive depends on your perspective. Certainly, spending several thousands of dollars to hire a lawyer and put together an estate plan may seem expensive. But if you compare that cost to the peace of mind you will immediately obtain after you sign those documents, as well as the amount of money your family will save in legal fees if they have to probate your estate or file a guardianship for you, then the cost of planning quickly turns into a bargain. For example, if your assets that have to go through probate, and you have a modest, $300,000 estate, then you are looking at costs of roughly 5%, or $15,000 to probate that estate. If you have minor children, the cost to set up a guardianship through the courts will further drive up the legal fees. And imagine what would happen if you became incapacitated and your spouse could not access your assets – what would this cost your family? Your spouse would have to hire a lawyer to file a guardianship at a tremendous expense, not to mention that your spouse may be prevented from selling any assets (such as the marital home) without a court order. If your spouse could not afford to keep the marital home or needed equity from the home to pay for your care, then this becomes a big problem… which is quickly alleviated by doing some basic estate planning. The best time to plan your estate is today. Nobody thinks that they are ever going to die or become incapacitated, but unfortunately, we will all die someday. If you have children or a spouse and you haven’t prepared your estate plan, you are quite literally, playing with fire. Leaving your heirs without an estate plan in place could have a devastating effect on your family. On the flip side, by leaving your loved ones with a well thought out and organized estate plan, you are leaving them with an amazing gift that can set your spouse and your children up for years to come. If you have questions, you may fill out our contact form or simply call our office at (919) 883-4861. We work with young families in the Triangle Region of North Carolina, including Wake, Orange, and Durham Counties. Our office is conveniently located in Cary, North Carolina, an easy drive to Raleigh, Chapel Hill, Durham, and RTP.